Willmar International is unique in that we not only have our own in-house transportation division, but we have relationships and resources across the country to secure the safest, quickest, and most cost-effective logistics plan for your business’ shipping needs. And with efficient LTL services, you know that you pay only for the space you require and not the entire truck. 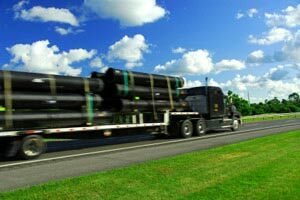 Flatbeds, Vans, over-dimensional, and refrigerated trucks are readily available for your shipments as well. We take care of every detail, whether big or small, like having all our carriers financially covered and insured. We adhere to the strictest standards for compliance, service, and reliability. These details can often be overlooked; but not with Willmar. Details are our focus. We have been setting the standards for the shipping and logistics industry for years, leading the pack in comprehensive solutions and customer satisfaction. Our experts take on your projects as though they are their own and treat you with the respect you deserve. We’ll walk with you every step of the way; you can be involved as much or as little as you want to. Our customers have implicit trust in our staff, knowledge, processes, and our commitment to serving them well. Join our team of loyal customers and start feeling the benefits of shipping done simply. Contact us today.